For too long, the gut has been the body’s most ignored and least appreciated organ, but it turns out that it’s responsible for more than just dirty work: our gut is at the core of who we are. 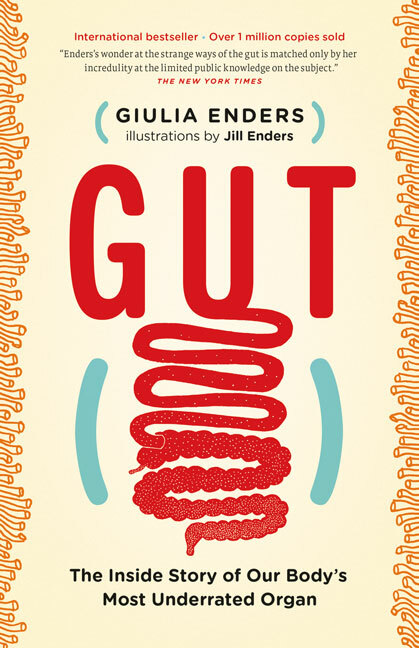 Gut, an international bestseller, gives the alimentary canal its long-overdue moment in the spotlight. With quirky charm, rising science star Giulia Enders explains the gut’s magic, answering questions like: Why does acid reflux happen? What’s really up with gluten and lactose intolerance? How does the gut affect obesity and mood? Communication between the gut and the brain is one of the fastest-growing areas of medical research—on par with stem-cell research. Our gut reactions, we learn, are intimately connected with our physical and mental well-being. Enders’s beguiling manifesto will make you finally listen to those butterflies in your stomach: they’re trying to tell you something important.